Neptune's Double Junction ORP Probe is able to connect with any monitor or controller with a BNC style connection. If you just need to replace your worn out probe or add another you will not be disappointed with the double junction feature of these probes. Most probes have a single chamber to house the actual reference probe and fluid that can become contaminated quickly throwing off readings and requiring calibration continuously . 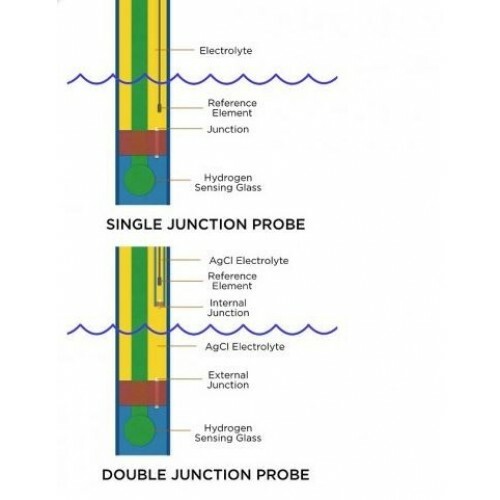 The double junction probes have two chambers that keep any contaminants that could possibly react with and clog the actual sensing portion of the probe. 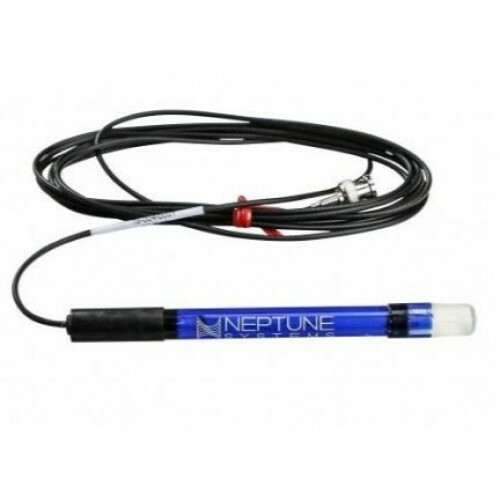 High quality ORP probe from Neptune Systems provides accurate water parameter measurement essential for maintaining aquarium water quality. 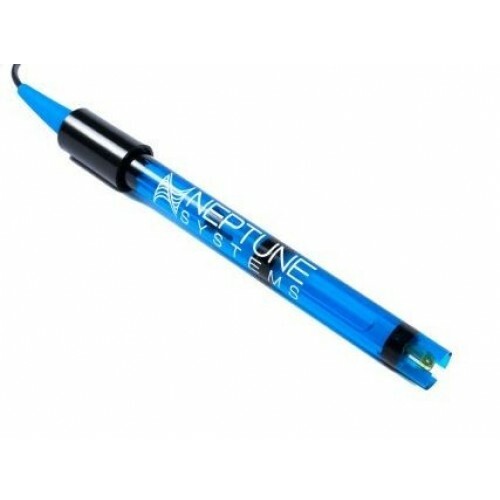 Neptune Systems Double Junction Lab Grade ORP Probe provides vital data to support Neptune Systems Apex system control functions. Features ±0.01 accuracy with 10 ft coax cable, sealed Ag/AgCl reference and Standard BNC Connector. Double junction ORP probe holds calibration longer and has a longer lifespan than single-junction probes. Use the Neptune Systems Double Junction Lab Grade ORP Probe to replace worn probes or to expand functionality of your Apex Aquarium Controller. Use additional probes to measure and monitor water parameters of multiple aquariums or different areas of your setup.